Lockheed Martin Corp this week will deliver the first of 36 F-16 fighter jets to Iraq, marking what Baghdad's envoy to the United States called a "new chapter" in his country's ability to defend its vast borders with Iran and other neighbours. 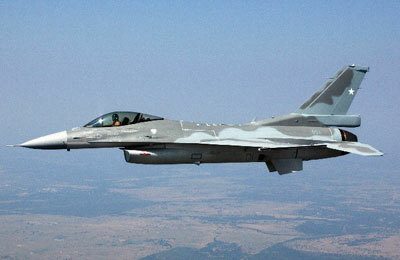 Iraqi Ambassador Lukman Faily will travel to Lockheed's Fort Worth, Texas, plant on Thursday for a ceremony at which Lockheed and the US government will formally deliver the first F-16 to Iraq. "Iraq is a large country with over 3,600 km of borders, and we need to protect them," Faily told Reuters in a telephone interview. "We as a country didn't have that capability before." Iraq has had no real air force since the US-led invasion in 2003 that eventually toppled Saddam Hussein. Iraq also plans to buy Boeing Co Apache helicopters and other weapons from the US government as it assumes responsibility for its own defense and counterterrorism efforts. Faily said the US government appreciated the urgency and scale of the challenge that Iraqi is facing given continued and mounting strife with insurgents. "They know that the sooner and the wider capabilities they provide us, the more ability we will have to reduce the vicious cycle of killing where the terrorists are attacking our people," he said.